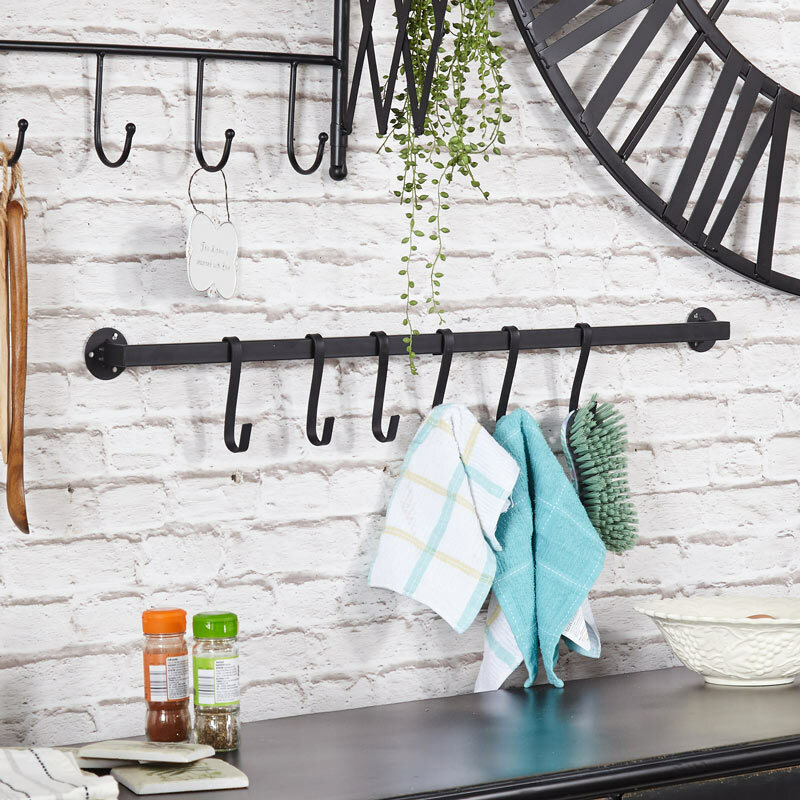 This wall mounted wall rack with adjustable hanging hooks is just what you need for extra hanging space in your kitchen. A great industrial look that will suit both modern and rustic kitchens. Painted black with a powder coated finish. With a set 6 adjustable hooks that will allow you to hang your tea towels, pots, pans and utensils up in the kitchen. The 6 adjustable hooks make this very handy and just what you need for keeping your kitchen organised. 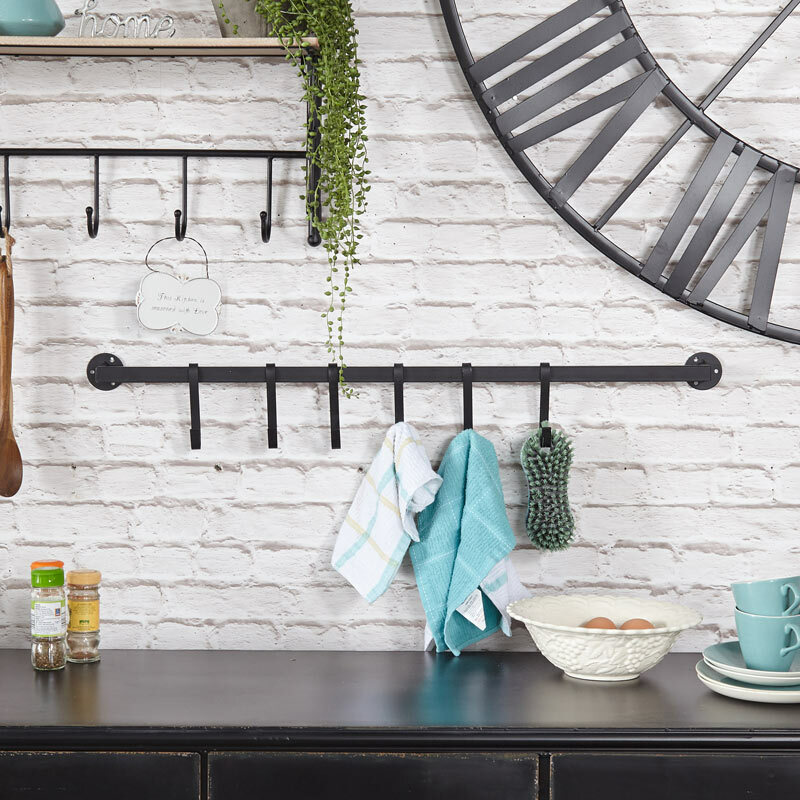 This wall mounted wall rack with adjustable hanging hooks is just what you need for extra hanging space in your kitchen. A great industrial look that will suit both modern and rustic kitchens. Painted black with a powder coated finish. 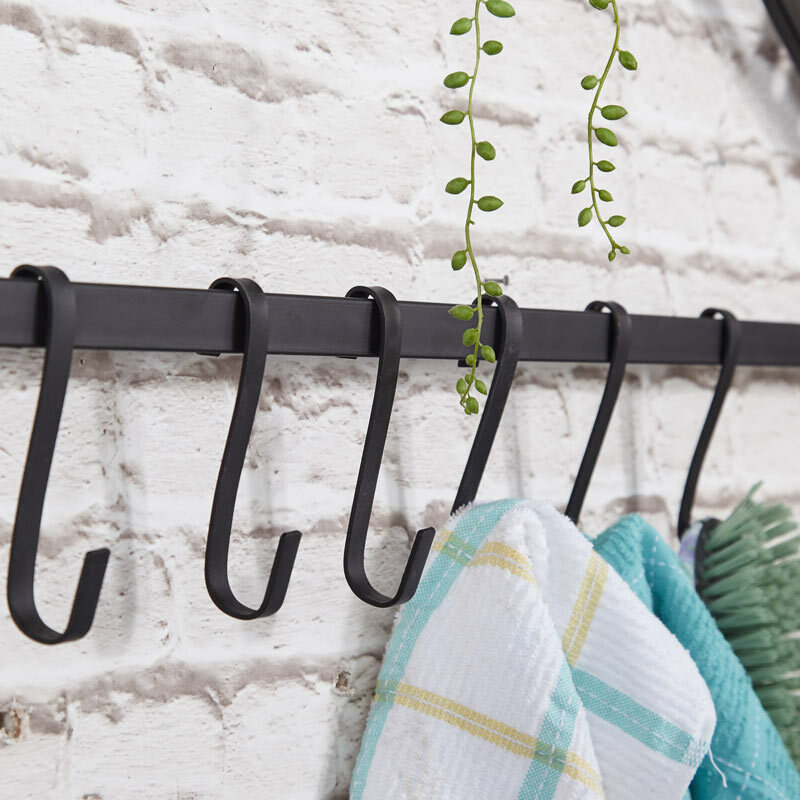 With a set 6 adjustable hooks that will allow you to hang your tea towels, pots, pans and utensils up in the kitchen. The 6 adjustable hooks make this very handy and just what you need for keeping your kitchen organised. Made from metal and painted in a black, powder coated finish. Easily wall mounted with holes on each end for 3 screws (fixings not included). We have a great choice of hooks and racks for helping your to keep your home neta and organsied. From just the wall racks to shelves with hooks and holders.